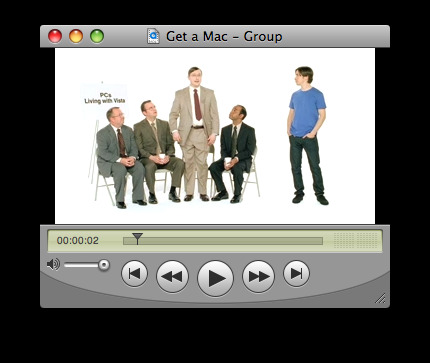 The latest Get a Mac commercial by Apple, about Microsoft Office 2008. It has just been published to The Daily iLife podcast, which you can subscribe to in iTunes or watch here. Macs new Microsoft Office 2008 program has just come out. In the box that PC gives him, is a stress toy for Mac to use when he gets stressed from doing lots more work, which PC begins using as he complains that Microsoft Office is too compatible with Mac and that he wants to switch his files over and he is getting less work then Mac, eventually breaking the toy.